The key to nailing your New Year goals. As our New Year ticks over, it’s always a time to reflect on the year that’s been and of course set new goals for the year to come. 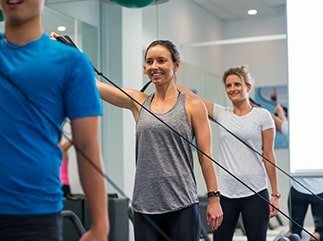 Often these goals involve health and fitness and with this sudden increase in exercise, we often see an increase in certain types of injuries within the clinic. Injuries such as: runners knee, patella femoral pain, ITB friction, Achilles tendinopathy, plantar fasciitis for walkers, (and those of us wearing thongs for the summer) or rotator cuff problems in swimmers become common problems for us to solve for our patients. A sudden increase of load placed on our body, without allowing it to adapt, can result in damaging these areas of the body. 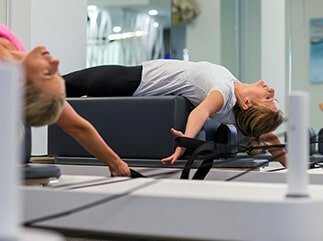 Although the main cause of these injuries is the sudden increase in load, things such as suboptimal biomechanics, muscle imbalances (weaknesses or tightness) or poor stability can also play a part in setting you up to get injured. What should I do before I embark on my new year fitness goal? If you have any health concerns or a pre-existing medical condition, we suggest you see your GP for a check up before you begin a new fitness regime. However if you want to nail that New Year’s goal or have a specific event to train for, we suggest popping in to see us for a screening specific to your sport or preferred exercise. It’s what happens in professional sport to reduce injury risk– so why not follow the experts and look after yourself too. A screening will help identify your weak area(s) and help you to address them to reduce your risk of injury. Our advice is to start slowly and increase your exercise steadily. This should have you exercising for longer without the pain or inconvenience of an injury. How do I know if I’m injured?